Courtesy of Stephen Carpenter There seems to be a slice of trademark violation in the name and slogan of this pizza joint in Petra, Jordan. My younger brother, Pete Slosberg, was co-founder of Pete’s Brewing Co., among the early generation of craft brewers in this country, making its reputation with its flagship brew, Pete’s Wicked Ale. Pete’s began bottling in northern California in 1986. The first label featured my brother’s dog, Millie, an English bull terrier, which, to be candid, is a breed whose features possibly only an owner must love. About six months after the beer was launched, my brother and the other company co-founder, Mark Bronder, were at my brother’s house watching David Letterman, when out trots Spuds MacKenzie, the newly designated party animal and face, so to speak, of Anheuser Busch’s Bud Light beer. Pete’s Brewing made the argument that it was the first to use a bull terrier in its marketing in its marketplace, which was then limited to California, and Anheuser Busch conceded that fact, and relented. However, the prospect of trying to prohibit the use of Spuds MacKenzie in California was daunting, given the deep pockets of the beer monolith. So, Millie’s mug was ruefully removed from the label by 1989, but Pete’s Brewing did get some invaluable – and free -- David v. Goliath publicity. 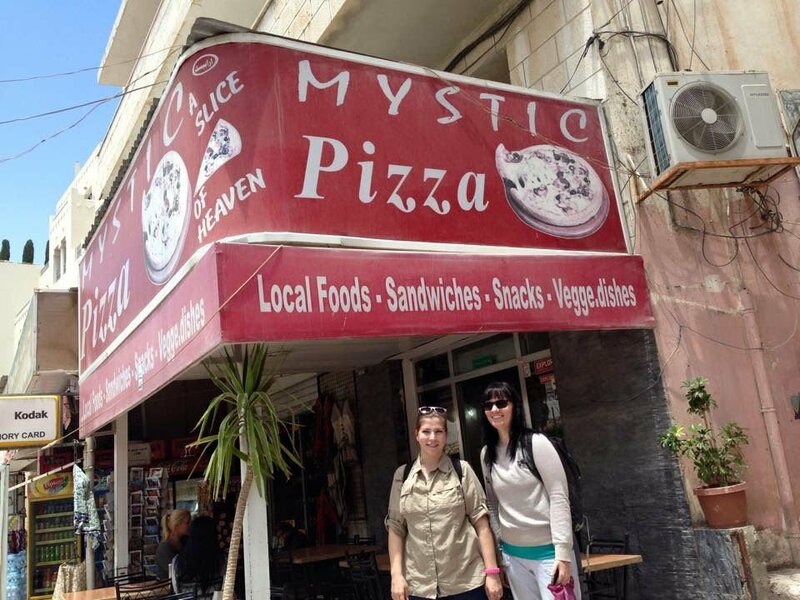 I was reminded of that episode in reading the other week about the owners of Mystic Pizza in downtown Mystic suing a restaurant in a Philadelphia suburb for using the same name. Mystic Pizza, of course, once a rather pedestrian pizza joint opened in 1973 in a sea-glass-earrings and lighthouse-necklace tourist town, was catapulted to celebrity by the 1988 eponymous film starring Julia Roberts and her hair, and smartly capitalized on the fame. In 1989, Mystic Pizza trademarked its name, and also registered the tag line “A Slice of Heaven,” the slogan on T-shirts worn by waitresses in the film. As many locals know, Mystic Pizza, located on West Main Street in Mystic, was, for the film, recreated in the Garbo Lobster Co. office space on Water Street in Stonington Borough. Through the years, Mystic Pizza owners have gone after restaurants in other states for using the name, but it is hard to imagine confusion in the marketplace since the Mystic Pizza seemingly owns the titular locale, and unless the owners, the Zelepos family, are worried about rival frozen pizzas with the same or similar brand names in supermarket bins, what’s the genuine harm? Apparently the “A Slice of Heaven” has not been subjected to infringement. However, as I first learned in 2004 from Stephen Carpenter, who was raised in Stonington and lives and works abroad as a consultant in financial management and institutional strengthening, lately in Kosovo, there is an unabashed hijack of the name and the slogan by a restaurant halfway around the world: In Petra, an ancient city traced to 400 B.C., in Jordan. Though the trademark raid is obvious, the consequences seem more flattering than fatal. Yes, business and marketing can be dog-eat-dog, and though the Mystic folks seem a bit crusty about protecting what is undeniably theirs in this country, at least they appear content not to interfere with, well, pizza in the Middle East.